Columbia, Mo. 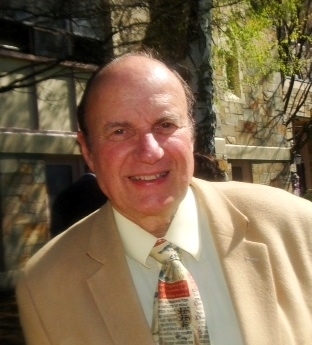 — Richard Dujardin, former religion reporter for The Providence (R.I.) Journal, will be honored with the William A. Reed Lifetime Achievement Award at the 66th RNA Annual Conference awards banquet Aug. 29, 2015, in Philadelphia. Created in 2001, the award is presented to individuals who demonstrate exceptional long-term commitment and service to the Religion Newswriters Association and its members, and to the field of religion reporting. Dujardin’s longtime involvement with the organization began with the 1977 RNA Conference. He later served as secretary, treasurer and first vice president before serving two years as president in the mid-1990s. He has received numerous awards over the years for his work, including RNA's Schachern Award for the best religion section, in 1981; the Supple Award for excellence in religion writing, in 1986; and the Templeton Reporter of the Year Award in 1991. He also received three Wilbur Awards from the Religion Communicators Council and several honors from the Rhode Island Press Association. The Lifetime Achievement Award namesake, William A. Reed, was the first African-American president of RNA, serving from 1976–78. He was also the first African-American to work full time for The Tennessean in Nashville, and one of the first African-Americans on the religion beat. RELIGION NEWSWRITERS ASSOCIATION (RNA) is the world's only journalism association for people who write about religion in the news media. We offer training and tools to help journalists cover religion with balance, accuracy and insight.